Hear ye, hear ye, for crimes against the crown you have been sentenced to spend the rest of your days in the dungeon! Why not get a job at the local blacksmith, or maybe entertain fellow inmates and guards with a wonderful lute performance? See the sights of the castle and check out the throne room, you might even be rewarded for your exploits in the old halls. This medieval map comes with new items to find, craft and use in your efforts to escape this imposing fortress. It will be up to you to deliver yourself into salvation. Will you fight your way through the prison's fearsome guards? Or maybe find a more cunning way over the walls to freedom, but how will you cross the moat? Do you have what it takes to escape Dungeons and Duct Tape? 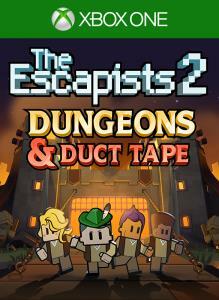 Dungeons and Duct Tape is available separately or as part of the season pass. 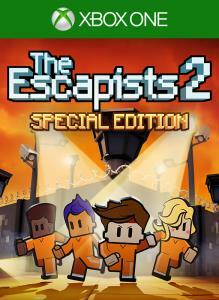 The Escapists 2 Special Edition combines the crafting, stealing, brawling escape-athon of The Escapists 2, with the zany themed prisons and customisations of the Season Pass to craft the ultimate breakout experience! 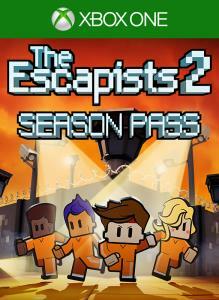 Get access to exciting additional content for The Escapists 2 with the season pass. Test your escaping expertise by breaking out of three exhilarating new prisons with extra items, customisations and thrilling new ways to escape! 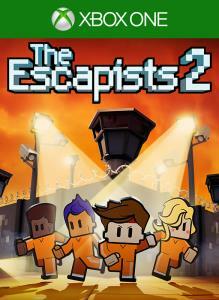 REQUIRES THE ESCAPISTS 2 GAME, SOLD SEPARATELY.